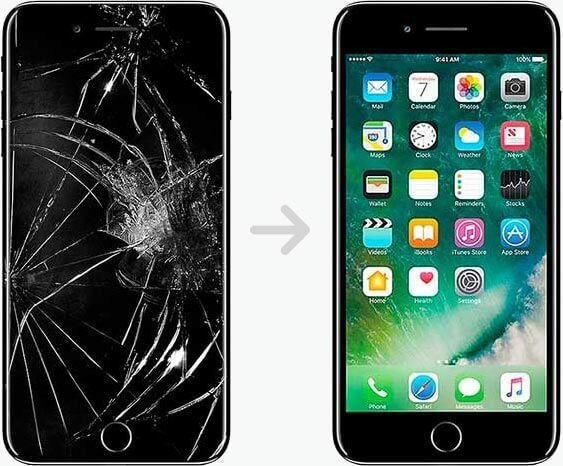 iPhone 7 glass screen repair can be carried out through qualified facilities, which represent the ideal places to offer an optimal technical support service. In fact, customers can benefit both from fast times, we talk about just ten minutes to carry out this specific operation, and both data protection and multimedia files. Reliable service. How do these structures work in iPhone 7 glass screen repair? The iPhone 7 can be considered a device that has absolutely new features, in fact it is the first Apple smartphone to have hermetic functions that make it resistant to dust and water. It's called IP-68 Certification. Being an innovative device, the work team present these structures, is able to cope with this specific operation thanks to all its competence and with the help of a series of specific tools ready to facilitate all the necessary tasks. Another factor to be highlighted is undoubtedly the use of new and original spare parts. A distinctive feature that allows us to offer a quality and impeccable service. How is iPhone 7 glass screen repair? The steps that are carried out in this structure, to accomplish this operation, are different and are all essential and extremely important. In fact, it consists in removing the old damaged display and then performing the complete cleaning of the entire technological device. A very important operation where the new display is applied to check the water resistance. Here is what it means to rely on these structures. It means studying every detail and every detail so that you can achieve a satisfying result in fast times. This is a service worthy of an example and complete with the addition of a warranty on the repair just performed. A guarantee that ensures and reassures all those who benefit from this support, a guarantee that has the power to cover the device for several months.